documentary honoring the legacy of black lesbian elders. 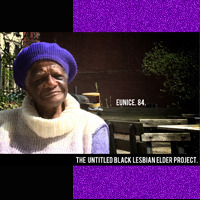 Untitled Black Lesbian Elder Project is a necessary, timely documentary that will honor and ensure the legacy of black lesbian elders, and situate them within a history of black people that has largely ignored the contributions of black lesbians. By letting the elders speak for themselves about the quality of their lives, we will give access points to stories that help people feel connected. These complicated narratives will join a rich cultural tradition of black lesbian history and culture that hasn’t been documented enough in film. UBLEP will also enrich visual representations of black lesbians in popular media; we hope that this film will be generative, jumpstarting other work in this vein. If UBLEP is not finished, we risk losing all of these things, and continuing a marginalization of black lesbians in the media; it would continue the lie that we don’t exist and don’t contribute. Save the Date for National Black Lesbian Conference 2011, the premier conference dedicated to Black Lesbians held August 25 – August 28, 2011 in Walt Disney World Resort. Zuna Institute’s National Black Lesbian Conference, the only event of its kind, is the preeminent assembly of Black Lesbian activists, educators, community organizers, and professionals. The National Black Lesbian Conference provides attendees with opportunities for leadership development and skills-building, professional networking, and continues to develop and expand our platform for future advocacy. We will have FUN, LIVE ENTERTAINMENT, and FOOD so don’t miss the 5th conference. Thank you Sistahs Stepping in Pride for gifting us with TEN life-affirming and JOYOUS years! On Sunday 5/22 SSIP co-founders Peggy Moore and Lisbet Tellefesen and volunteers hosted a reception to kick off the 10th anniversary pride march and festival to be held on Saturday, August 27, 2011 Lake Merritt, Oakland, CA. Peggy Moore’s opening remarks included fond memories, heartfelt acknowledgements, astute organizing tips and an announcement that this will be the final year for the march and festival. SSIP is setting a fine example by choosing to go out in style and on a wave of tremendous success. SSIP is ending on many positive notes including 10 years of having fiscally operated in the black and with the majority original core planning committee still in tact. Several of the committee members have shifted their attention to pursuing families, managing health and other personal matters. The SSIP co-founders will retain the SSIP name and will plan to organize premier events in the future. The best part of the kickoff event was the sharing of personal stories from Peggy and Lisbet as well as the reception guests. One couple described their divine match and how they met under the SSIP festival tree-altar-shrine. Their meeting at SSIP was the genesis for a sacred union they’d both longed for. In response to a question I posed to the co-founders reflecting on their decades long community building experience, Lisbet Tellefesen commented that during her activism in the 1980’ -90’s. She said it seemed that the conditions and people in that environment were transient and ad hoc and she had no expectation that the relationships would endure as long as they have. Now, nearly 2-3 decades later she appreciates the same community of women who have grown old together and have helped to create a collective shared space. Peggy added that she has come to appreciate what community really is, an opportunity to heal together. A common thread that ran through the discussion was how the SSIP event served to illuminate our communities in the best light. An elder sistah speaking on loss, invisibility and the search for community described the SSIP event as “an annual REAFFIRMATION that we are still here.” Other guests reflected on how SSIP successfully demonstrated how vibrate, inspirational, self-loving, life giving and fully present we are capable of being in our individual and collective lives. Help SSIP go out in style by submitting your donation on-line now. 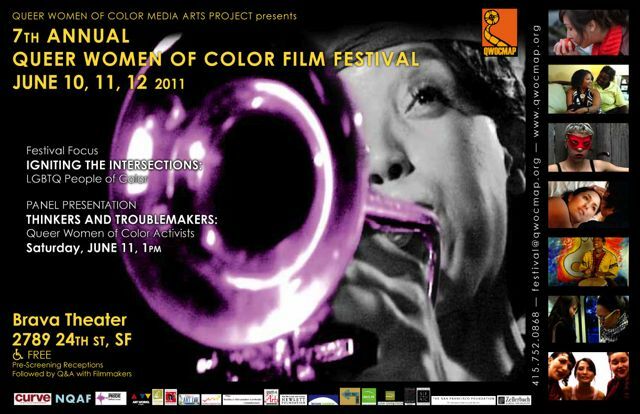 Save the date Saturday, August 27, 2011 Lake Merritt, Oakland, CA. Queer Stations is a dream of Julia and Lex for sustainable intergenerational living and creative arts and community building space and the answer to what we have been learning on our Mobile Homecoming journey…which is that the number one need in our community is SPACE to manifest our inspired passionate work. And guess what? Proto-Queer Station our exciting launch of this project is in Atlanta/Decatur. Do you want to come spend a week or a month or more in Atlanta to do a residency based on fulfilling your purpose???? We are now accepting applications for residencies and moving into the space! Please spread the word read below and check out the beautiful website Julia designed for more info and email us at queerstations@gmail.com or mobilehomecoming@gmail.com! We can’t wait to hear from you and tell you more!!!! 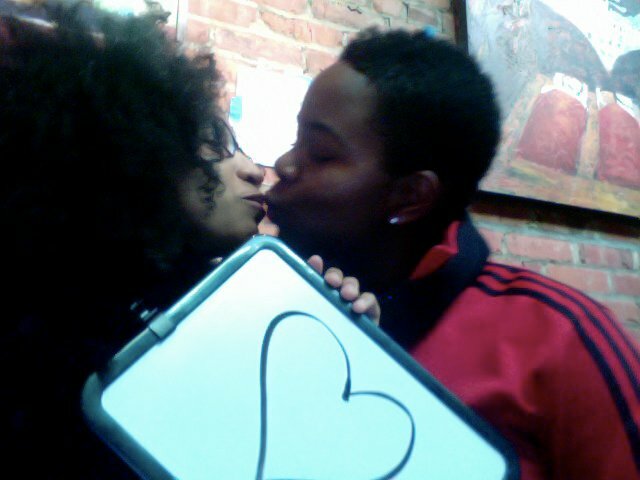 Queer Stations is our alignment concerning sustainable community right now! We envision intergenerational communities around the world for radical queer people of color (and those aligned with us) that support us to do our purpose. We welcome our community to come live, learn and teach about sustainability whether you want to make Queer Stations your long-term home, do a residency, stay through a transitional period while you shift toward passionate work and purpose, or spend a few days when you come to town to attend one of the many amazing conferences or workshops that our communities host. Queer Stations is a place where we have access to our purpose because we have access to our time, tools, inspiration and love. Here the tools we need to create the world anew are available including computer & multimedia labs/studios, art studios, carpentry and work equipment & space, workout rooms, meeting space, dance studios and more. This is the 365 arts residency program for us all. Because isn’t doing your purpose, whatever it might be, an art? Queer Stations is our vision for sustainable living off the grid. It is possible as we learned by visiting Earthships in Taos, NM, but Sandbag building, Adobe, Cob, Yurts and other options are also viable. In Taos, NM we experienced homes that are cool when it’s hot outside and warm when it’s cold outside; that have indoor gardens that grow food (even bananas) any time of year; that catch, filter and reuse water; that use solar and wind for power, and that handle waste all on site with no outside utility services. This is what it looks like… To realize our vision of taking care of each other and the planet these are the solutions that we have found and seek to develop beginning with a Proto-Queer Station (i.e. 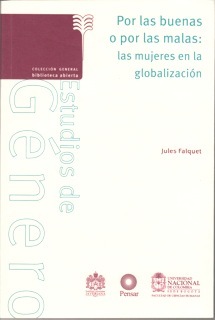 Queer Stations in practical development). Below is a description that represents our vision for what this Queer Station will become. We have 2 bedrooms for short to long term residencies and 1 bedroom available for weekend to week long visits. We intend this (Proto) Queer Station to be an intergenerational space for creative work by or with Radical Queer/LGBT/SGL People of Color. It is a pet and smoke free space (smoking outside away from entrances is ok). We are learning and growing as we go. If you are interested in this process please contact us. Here we will continue to develop the metro-ATL Queer Stationuntil we are able to build and move to a fully sustainable and accessible space. You are currently browsing the Skyeview blog archives for May, 2011.